I bought a Hero Session 5 and am having trouble getting a suitable chin mount for my helmet and don't want to look like a tellytubbie with it mounted on the top. 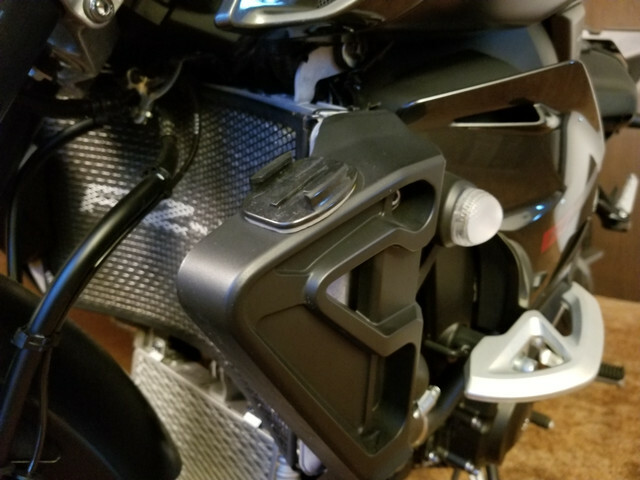 Has anyone found a good mounting spot on the bike itself? You have to have the right helmet to have a chin mount. 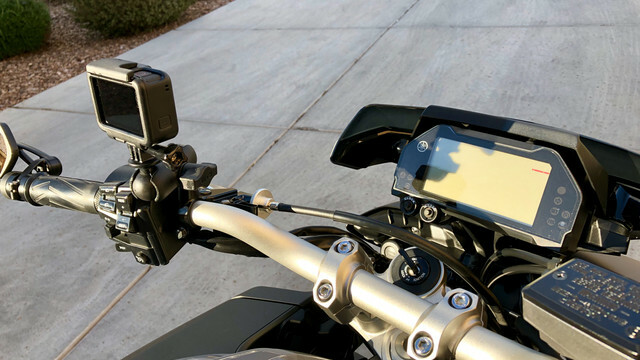 But a handlebar mount looks great. I can upload a small YouTube clip to show you what it looks like if you want. Thanks. 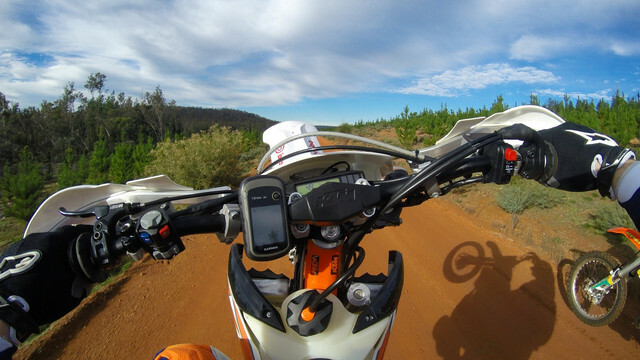 Have you got a pic of the handlebar mount? I bought a cheap alloy clamp off eBay but not sure it is big enough. 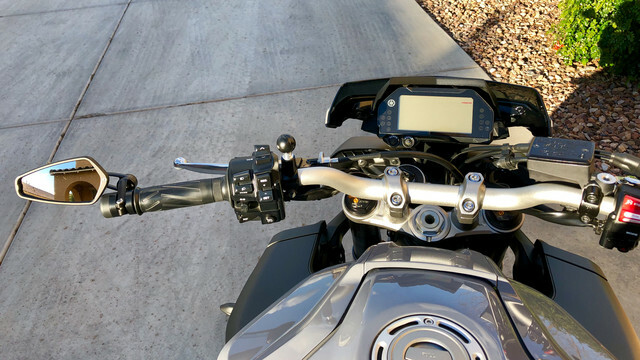 I've got enough space on the chin bar of my helmet and stuck on a mount but need some extensions to angle the gopro back far enough or else it ends up pointing to my speedo the whole time. It looks a little odd and wanted something a little neater. I flipped mine upside down. 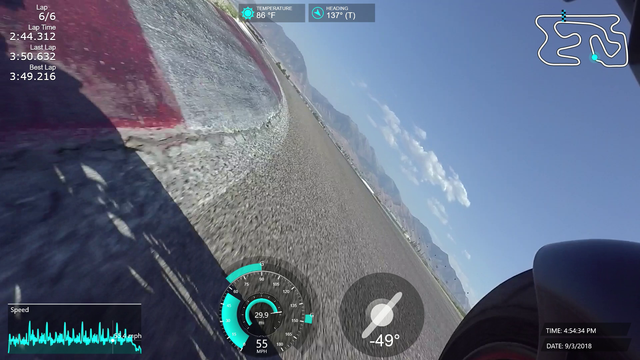 There's a setting on the GoPro that will flip the video and photos for you automatically. Even flips the display screen. I did the same, flipped it upside down and angled it up a little and haven't had any problems. I use the actual gopro branded handlebar mount, shop.gopro.com/mounts/large-tube-mount/AGTLM-001.html I got the smaller version not knowing there was 2 different sizes and it works but its just a pretty close fit. The bigger mount I linked will fit comfortably on the bars, but if you want to save $10 then you can roll with the small handlebar mount. Bar mount vs chin mount for reference. Hey that highway looks familiar! I use a Dango Designs Gripper Mount for both road and dirt duties. Works awesome and is easily transferred between helmets or if you want to give it to someone else to use for different perspective. 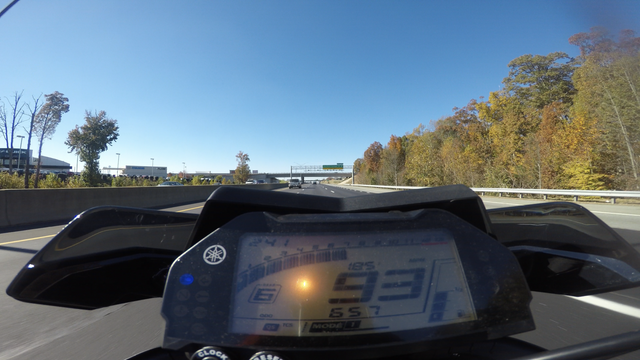 Screenshot from my dirtbike for reference. Thanks for the responses lads. I prefer the vision from the chin mount. I hadn't heard of the Dango Gripper, looks like a good option as well. Wow! I didn't know that trick either. Good one. Thanks. What chin mount are you using? Just a basic gopro curved mount, the 3M tape on it is ridiculously strong. 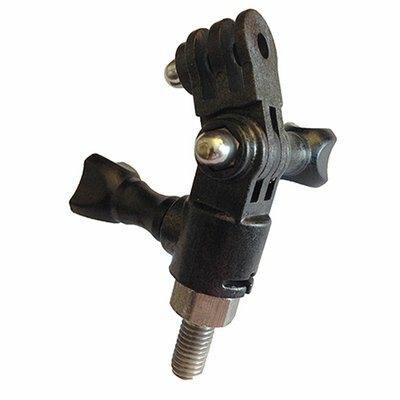 RAM Mounts makes a simple, clean ball base that threads right into the stock mirror mount. Along with a couple other bits, I’ve been very pleased with the solution. 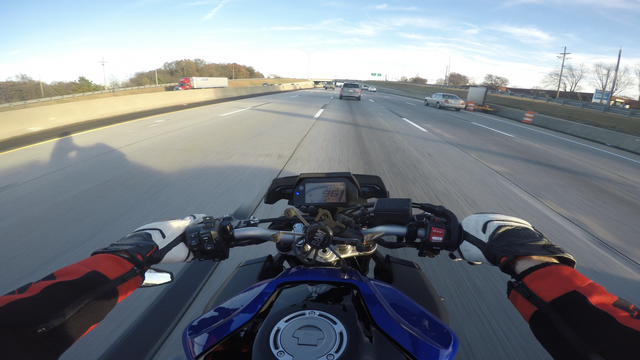 I just bought myself a GoPro a month ago. Never had an action cam before. 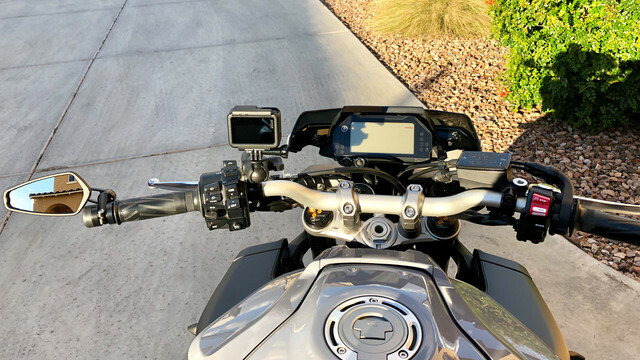 So far, I’ve been using it as a standard dash cam during the daily commute, but look forward to getting some cool footage on fun rides, mountain biking, skiing, etc. I spent a couple weeks debating on the correct mounting option(s) for the motorcycle. I considered all the usual helmet mounts/locations. I decided that I did NOT want the camera hanging in the side of the helmet, or up top. A chin mount is the only location I would consider. However, the contours and vents on the chin of my particular helmet made this option impractical. Plus, the helmet mount isn’t my ideal choice, anyway. Anyway, it’s easy on / easy off. It’s super stable, and very low profile when I take the camera off. Only the ball mount remains. 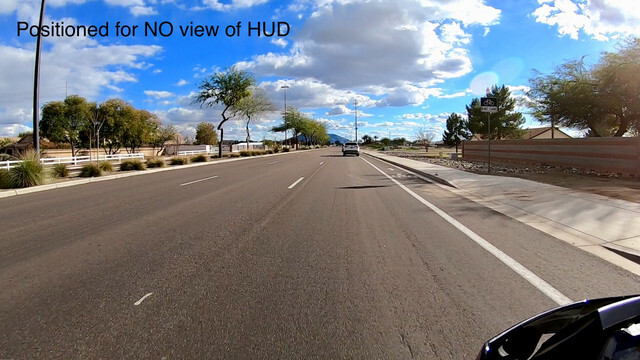 And, it allows for some versatility in camera angles/views, all from the same ball mount. 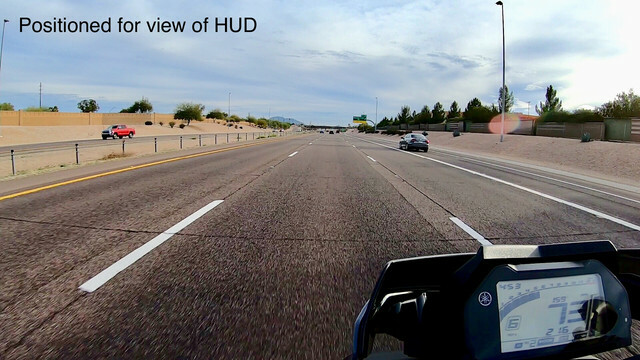 Depending on how I position the camera, for example, I can get a good view of the FZ-10 HUD in the bottom-right of the camera view, or I can keep the HUD out of view altogether. I opted for the short socket arm, which is about 2" long. 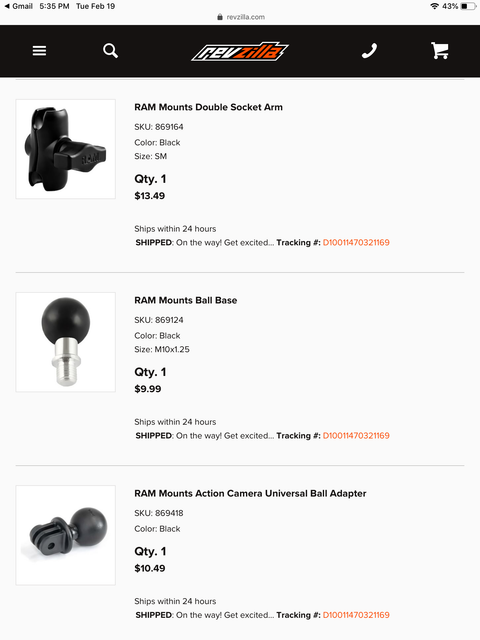 RAM also makes a medium and long socket arm, which might allow for even more versatility in camera angles/mounts from that single ball mount. Those pictures look so damn clear! BTW I found these last night which look like a great alternative to the RAM mount. I had one (RAM mount) on my last bike but the rubber mount allowed for a lot of vibrations, which made the video quite shakey. Interesting. After a month of daily use, I continue to like the RAM Mounts set-up. Zero issues with vibration in my experience. It’s great video. In fact, it might seem that RAM Mounts' rubber ball would absorb a small amount of vibration, versus a completely rigid set-up. I don’t know. 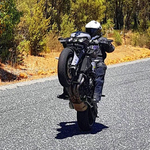 Hard to find a good spot on the FZ-10. My handlebars are too crowded for another accessory. This is my spot until I figure out something better. 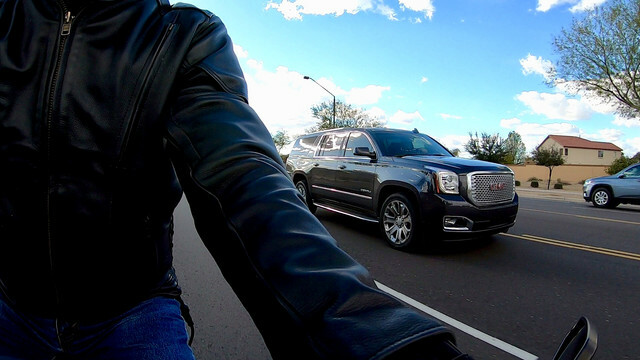 The captures are terrific being close to the front wheel and road, but some vibration.